To our surprise, we found that Nerry’s case is not unique. 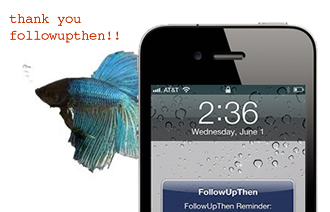 Since making FollowUpThen, we’ve heard tons of stories about how an email or SMS reminder at the right time saved the day – saving relationships, not getting fired, health of animals and people alike. It’s so inspiring receiving these that, well, we wanted to hear more! 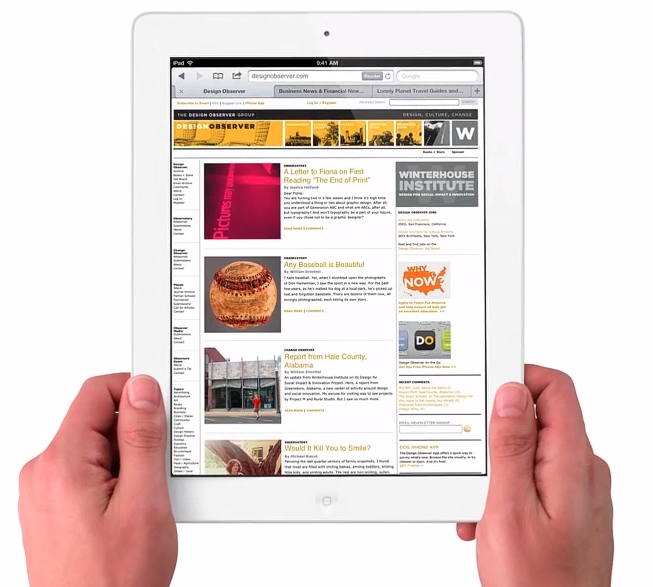 The contest will last until March 14th at 11:00am (Pacific Time) – one week from this morning’s unveiling of the new iPad. So dig up your most unique, funny, interesting or epic story for how FollowUpThen has helped you. Post it in the comments section on this page. We will let the the community and your social network rate them by ‘liking’ your story. We’re looking forward to hearing your story. A shiny new iPad3 is probably sitting in some shipping container right now with your name one it! and post it in an email, twitter or some other social tool of choice. And no, getting your friends to vote for you is not cheating. Although we welcome contestants outside the US, we cannot guarantee iPad availability or delivery to your country. If shipping costs exceed $50, or Apple doesn’t support shipping to your country from their website, we will send $500 to the winning contestant. In the instance of a cash prize, winner must have a valid PayPal account which can be used to receive the money. No other payment service or method of payment can be used. The prize is forfeited if no valid payment or delivery method is available. The winner must have submitted their story using a valid Facebook account under their actual identity. False identities or Facebook “spam accounts” (that were only created to submit a story) will be automatically disqualified. Winner must also be of the majority in their local jurisdiction. The winner must have signed up for and used FollowUpThen, be present in our user database with a validated email (length of time account has been held, however, does not matter). The winner (valid story with the most ‘likes’ ) will be notified through a Facebook message. Your profile must be configured for us send you message after clicking on your name in the link. In this message, we will ask you for your FollowUpThen account email which we will use to validate your FollowUpThen account. This must be given in order to win. If no response is received from the winner within 2 weeks, the prize will go to the next most popular valid user / story. By entering this contest, you agree to the rules and conditions of entry, and that the content that was submitted and your name may be used for promotional purposes by FollowUpThen. All associated taxes and tax reporting for the receipt of this prize are the sole responsibility of the winner, as well as any and all liability associated with the receipt of or use of the received prize. We will mail your iPad3 to you within a reasonable time frame taking into account availability of the product and other logistics. These rules are subject to modification.